44x40x9cm (18x16x4inch). 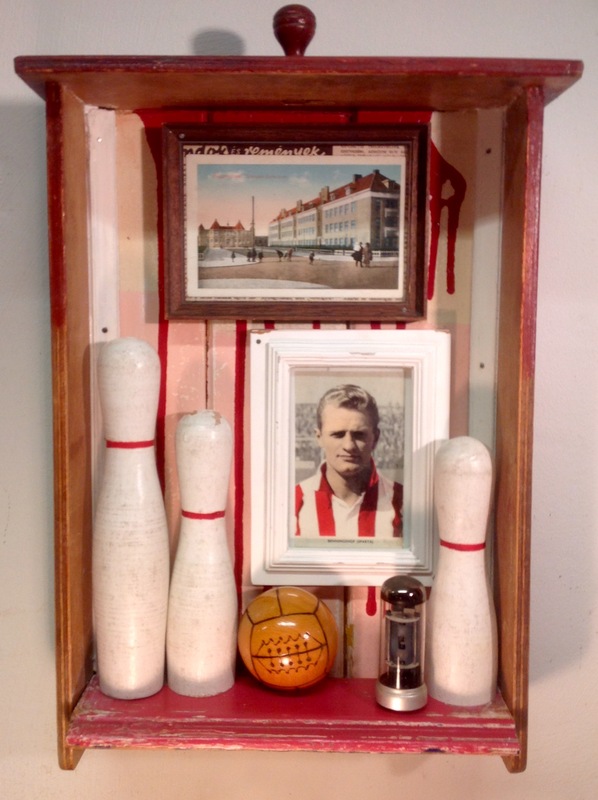 With a colour picture of former player Benningshof and a postcard of the Huygensstraat of 1934 leading to “Het Kasteel”, the stadium of Sparta, the oldest football club in The Netherlands (1888). Found the wooden box in an antique store near Leiden, the inlay is scrapwood from Zaanse Schans. The pins refer to the old scoreboard. For every goal a pin. Also used a tube from a tube radio.